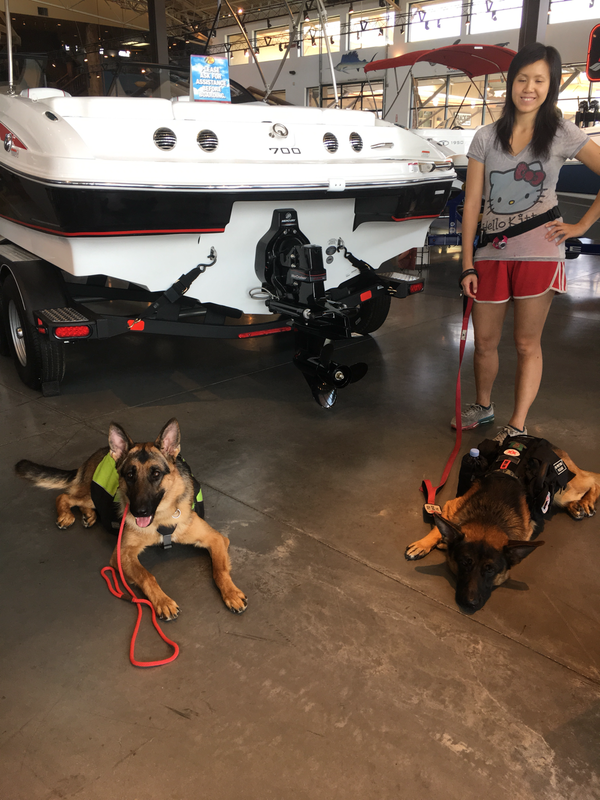 When it comes to training it takes a very special person who knows dogs behavior, body language, and ability to understand how to communicate with different dog personalities. Our trainer, Pamela Watson has been Owner/Trainer of Paws-A-Tive Dog Training LLC of Las Vegas NV since 2012. With more than 35 years of training experience with all breed, mixes and personalities, Pam has a wonderful reputation in the community. She goes above and beyond for any dog that needs help to be an amazing family member. Brodie on left training to be a therapy dog. Aerys with owner Katie on the right. Aerys has completed his service dog training and takes very good care of his mom and dad.